Music to go. Anywhere. Anytime. Simply attach your CD player, musical instruments or the included microphone and you're ready to rock. The integrated Universal Dock for iPod lets you quickly and easily dock your iPod right in the top, for fast control and playlist changes. A long-lasting rechargeable battery, a high-efficiency amplifier with four inputs, sturdy aluminum construction and portable design, ensures the TransActive Mobile can be taken anywhere and everywhere. 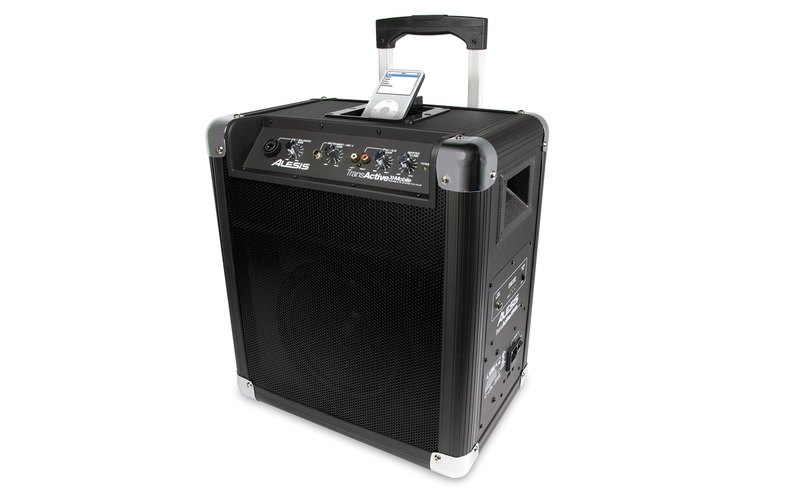 Perfect for outdoor parties, live gigs, business meetings, sporting events, and tailgate parties.